Dogs always seem so honest and sensitive—qualities we would like to have in ourselves and in the people around us. 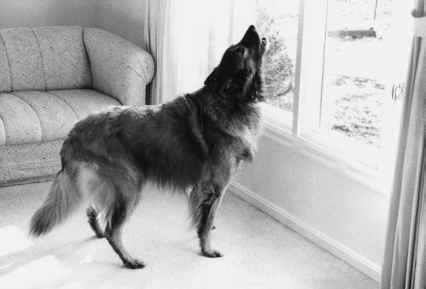 That dogs have these qualities is related to the fact that they communicate nonverbally. They seem honest because, without being able to talk, they cannot lie. Dogs seem sensitive because they read our body language. They are good at it because this is the way they communicate with each other. Dogs cannot be misled by the things we say. We cannot hide our feelings from them with words. For instance, when someone asks you how you are, you may respond by saying you are fine, even when you are not. The person to whom you are speaking may miss the nonverbal messages that say you are not fine, such as slumped body posture and a depressed tone of voice if you are sad, or tense body posture and an abrupt tone of voice if you are angry. Your dog would never make this mistake, and neither should you when you are communicating with other people or you will miss an important part of their message. If you ask someone what's wrong, and they reply, "Nothing," but their body language says something else, don't ignore the real message. Reading and responding to body language improve communication; this, in turn, improves relationships.